Closed on Sundays, all public holidays and second Saturday of every month. After passing Langar Houz take a left at the bridge onto the 90 ft road towards Kali Mandir. Go about 2km, till you see the HP Petrol Pump on the left. Take a left turn and proceed another 200m and you will reach the destination. 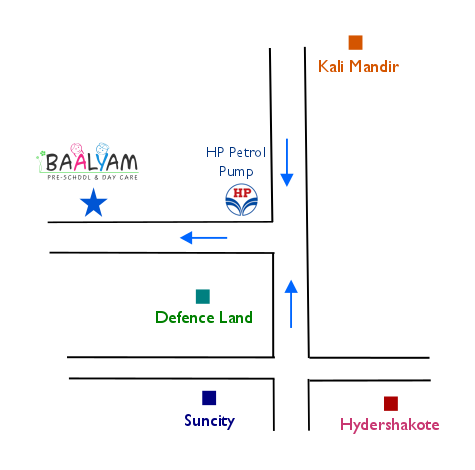 Take the Inner Ring Road towards Mehdipatnam. At the Pillar No 108, take a left to go towards Langar Houz. Take the ORR Link Road from Gachibowli. Merge on to the ORR lanes heading towards Airport. Go about 1.5km, till you pass Kali Mandir. Continue and go another 1 km till you see the HP Petrol Pump on the right. Take a right turn and proceed another 200m and you will reach the destination. Take the ORR Road at Shamshabad heading towards Gachibowli.